In Arkansas, divorcing couples can end their marriage in as little as 31 days. This is welcome news for people who want to avoid lengthy delays and expensive lawyer's fees. However, Arkansas also provides resources for couples who need to work out more complex issues. Under Arkansas divorce law, anyone who files a complaint for divorce must be an Arkansas resident for at least 60 days. The case must also be filed in the county where the plaintiff (the person filing) lives. The plaintiff spouse must file a "complaint" for divorce and summons at the courthouse in the appropriate county. You must also file a Confidential Information Sheet with your initial paperwork. This form acts like a cover sheet and gives the court important information, such as your address and telephone number. The plaintiff must "serve" the complaint on the defendant spouse by providing him or her with a copy. In Arkansas, you can serve the other person through sheriff's service, a private process server, or via certified mail. If you can't locate your spouse, you can also publish notice of the divorce in a local newspaper. The responding spouse must file a written response to the complaint within 20 days of being served with the complaint. 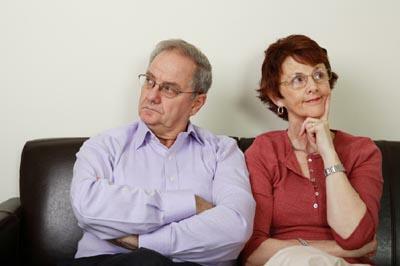 If you and your spouse satisfy certain conditions, you can use an interactive divorce packet provided by Arkansas Legal Services Partnership, which is a part of Arkansas Legal Aid. To use this service, you and your spouse must qualify as low-income Arkansas residents and have no minor children together. In Arkansas, divorcing parents are required to take a parenting class. If requested, the court will also issue a temporary order to provide for the children. The temporary order will only be in effect until the judge signs the divorce decree. A typical temporary order will require that the children's lives not be disrupted by their parents' divorce. For example, the temporary order may require that the children live in the same home and attend the same school as when their parents were living together. Both parents have an obligation to provide financial support for all minor children from the marriage. The court relies upon the Arkansas Family Support Chart to determine how much a parent must pay to support his or her children. For most people, beginning a divorce is a big step. By becoming more familiar with the divorce process in Arkansas, you can start your case with more confidence. Although relatively simple cases might not require the help of an attorney, it's usually a good idea to consult with a knowledgeable Arkansas family law attorney when you're ready to file.